WA is where the Car Care journey started over 30 years ago in 1987 and is still home to more franchisees than any other state…including one who has been with us for 25 years! We have over 20 detailers operating from Mindarie in the north to Busselton in the south and all points in between. The great thing about this is that you can regularly see our detailing vans with their distinctive decals throughout the city of Perth. You may have also heard our latest advert on Nova or 6PR radio as we are constantly promoting our detailing services throughout the year. Being WA it’s not surprising that we don’t just work on cars and are often called upon to detail trucks, mining equipment, caravans etc. Mark joined Car Care in 2003 and is passionate about the Car Care brand and his WA franchisees. Starting as the franchise owner for Kalamunda, he quickly established a reputation for excellent customer service in an area that was previously almost untouched. In 2005 Mark represented Car Care in the FCA state finals and was awarded the WA Franchisee of the Year Award in the Franchise Council of Australia’s BEST OF THE BEST Award. 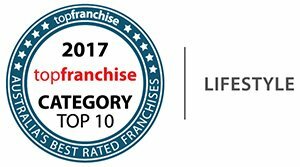 Taking over as the State Franchisor soon after, Mark put his business skills and knowledge of running a great franchise to good use. He mentors and coaches his franchisees to help them become the best they can be, and helps them to earn a great income while enjoying running their own business.